HOUSTON (KTRK) -- The Houston Texans and the best offensive player in the franchise's history officially parted ways today. Andre Johnson, who last week asked to be either traded or released after learning his role with the Texans would be reduced, was let go by the team. 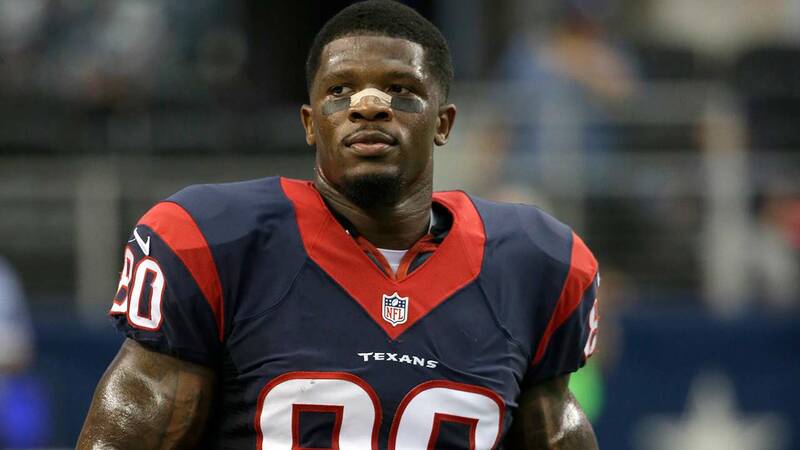 "After exhausting all options of a possible trade, we informed Andre Johnson that he would be released today," Executive Vice President of Football Operations and General Manager Rick Smith said. "No player in the history of this franchise has represented the team, city and community in a more professional way. Andre is a Hall of Fame caliber player and we appreciate his years of service and contributions to our team." Johnson had two years remaining on his contract and a salary cap figure of $16.1 million for 2015. His base salary of $10.5 million was the highest on the Texans' roster. Johnson was set to make a base salary of $11 million next season, counting $14.675 million against the salary cap. "I have so much respect for Andre Johnson and what he's meant to this organization," head coach Bill O'Brien said. "Andre carried himself as a true professional and did everything that we asked him to do. Andre will go down as one of the best receivers to every play this game. We are thankful for what he has done for our organization and wish him well on his future playing career." Johnson had been with the team since being drafted as the third overall pick out of Miami in 2003. For his career, Johnson has 1,012 receptions for 13,597 yards and 64 touchdowns.